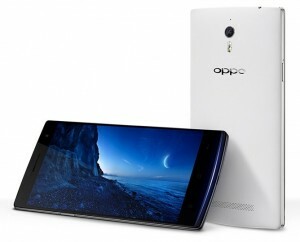 Oppo has introduced its new flagship device, the Oppo Find 7. It goes on sale in two versions, and, as a main novelty, it is the first smartphone that features a Quad HD LCD display (2560×1440 pixels). This impressive array of pixels on a 5.5-inch screen provides a density of 538 pixels per inch, the highest we can find on the market. The standard version also comes with a 5.5-inch screen, but in this case is 1080p. It also has a 13 MP camera with Exmor IMX214 sensor form Sony, a Qualcomm Snapdragon 800, 2 GB of RAM and 16 GB of internal memory, expandable via microSD. The battery is 2800 mAh, removable, and runs Android 4.3 Jelly Bean and Colors OS 1.2.0. The Premium version, in addition to the higher resolution Quad HD screen, also improves other components, ranking this smartphone as the best equipped device in the market today. The processor is a Snapdragon 80, and it has 3 GB of RAM and 32 GB of internal memory. It includes the same camera as the standard version and the same operating system, but the battery increases 3000 mAh, ensuring a good autonomy despite the consumption of the display. The device includes a quick charging method that allows you to charge 75% of the battery in 30 minutes. The Oppo Find 7 includes a feature called Super Zoom that takes 10 consecutive photos and combines them to get a picture of 50 MP. The camera also can record videos with 4k resolution and 710P videos at 120 fps. The Oppo Find 7 Standard will be available in early April for $499, while the Premium version will arrive in late April and it will cost $599.